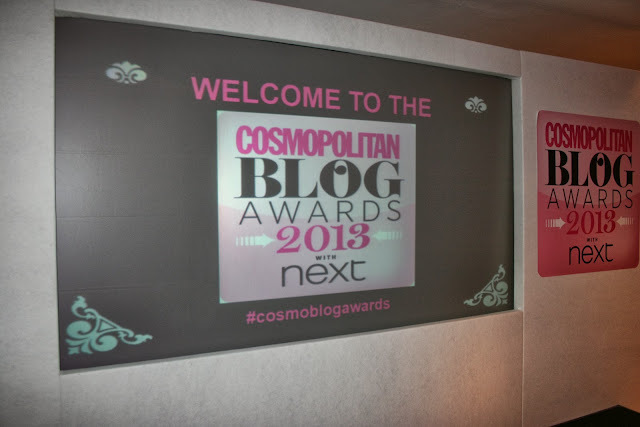 On Wednesday evening we attended the Cosmopolitan Blog Awards at the OXO Tower on Southbank. 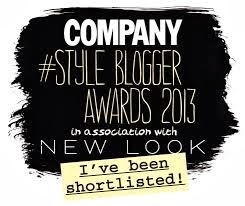 We were super excited as it was such an honour to be shortlisted for this especially after only being around in the blogging world for 6 months! 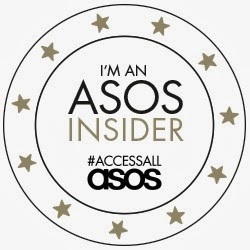 We were more calm and confident about this awards than the Company ones earlier in the year and we just wanted to have fun and meet some amazing bloggers. That we did! 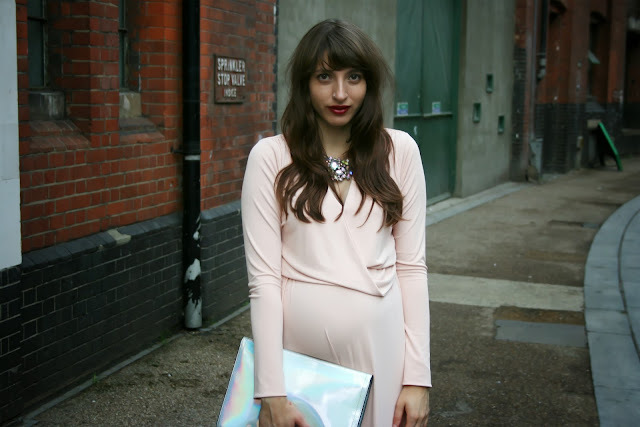 The event was full of wonderfulness such as a photo booth, cocktails on tap, nibbles, nail bar, hair bar and hot guys in suits! 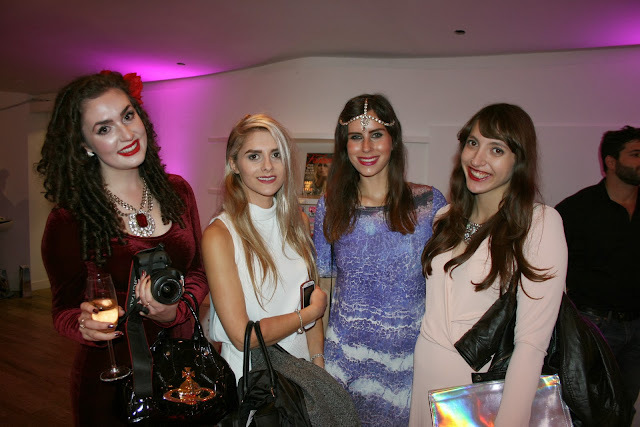 We met up with other bloggers in our category Lydia from FashionInflux and Lily from Lily Kitten - you must check them out! 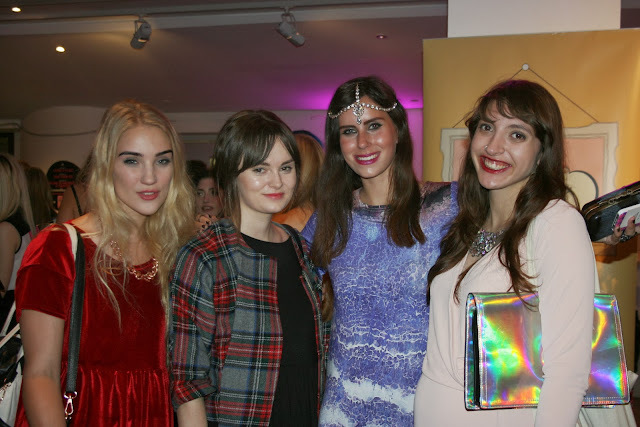 We were all up for 'Best New Fashion Blog' we couldn't believe we were up against blogs that were 2/3 years old and that we have been following for a long time- we felt so lucky to be in a category with so many wonderful girls. 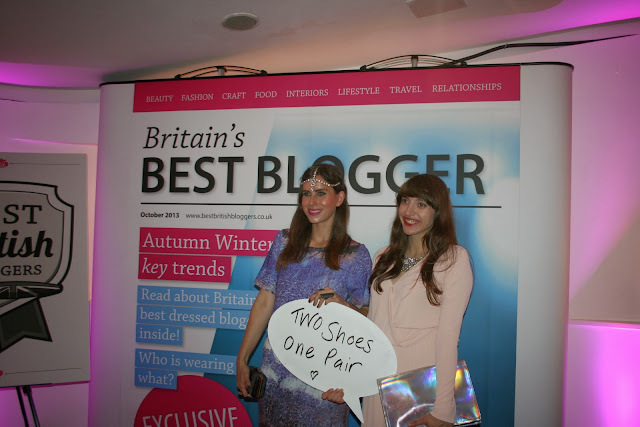 The awards happened at about 8pm and it was great to see who won- we discovered lots of new blogs! 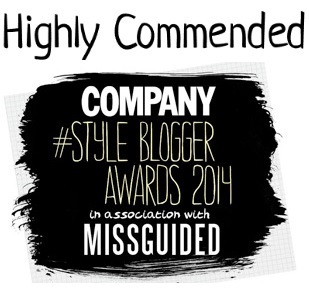 In our category fashioninflux got highly commended (which was well deserved!!) 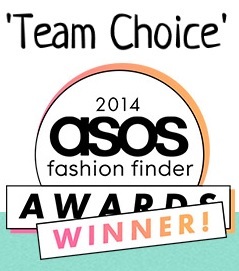 and Lovecloth won! 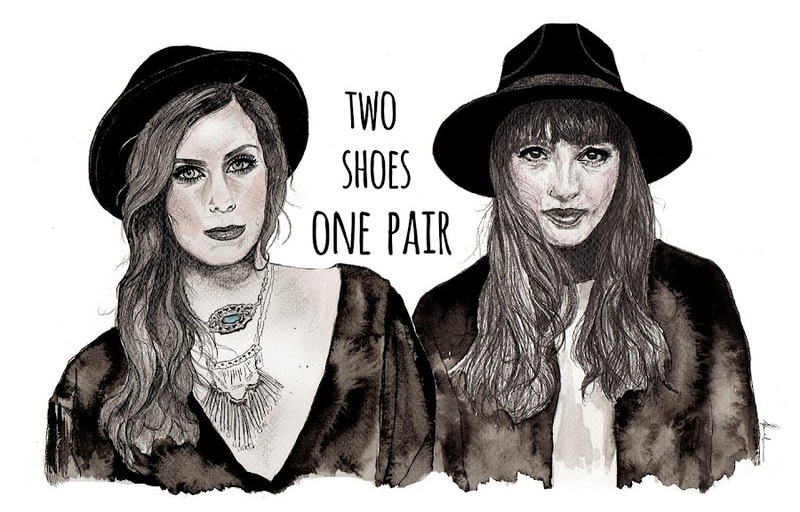 Being a blogging duo we wanted to go with looks that complimented eachothers perfectly. 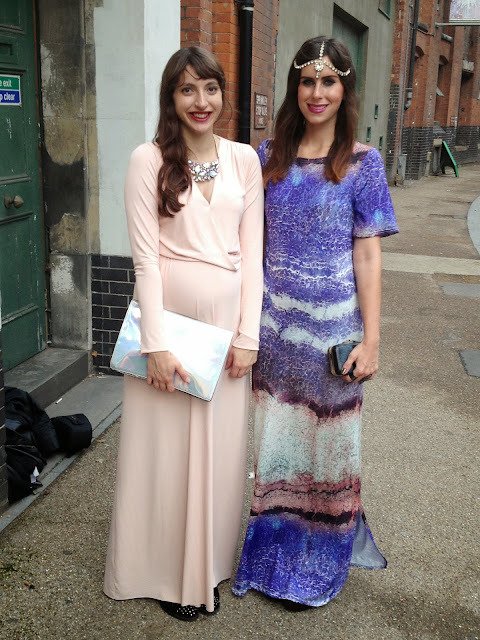 We got sent amazing dresses from Gorgeous Couture so Amy wore her pink maxi dress with holographic necklace and clutch which picked the purple out in the dress I wore. 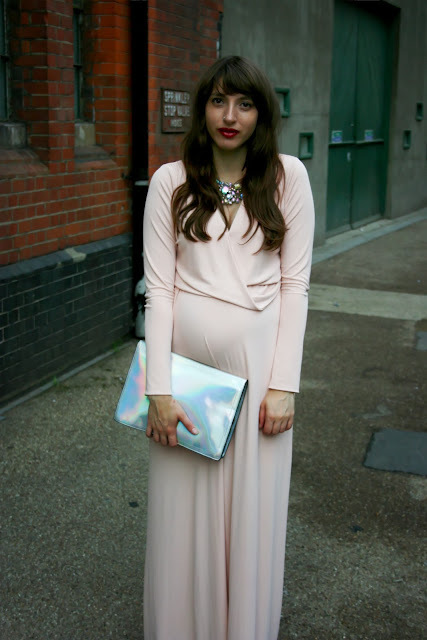 I went for this Bill + Mar marble maxi which you can buy from spottedonceleb.com I think it worked really well against the pastel pink and looked great with my headchain which I have been dying to wear and House Of Harlow box clutch. 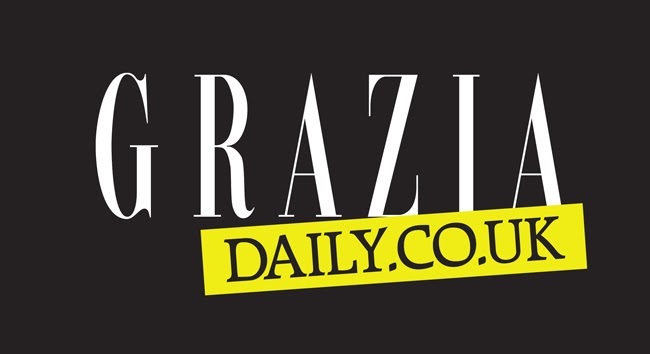 We hope you enjoyed both our looks and we just want to say a massive THANK YOU to everyone who reads our blog and voted for us! We feel so lucky to have come so far in 6 months doing something that we love and enjoy so much who knows where we could be in another 6 months!